Tonight, Dr. Andrew Hoff will receive the prestigious Outstanding Alumni Award for the College of Health and Human Services at the Top Dog Alumni Awards Gala. In honor of this great achievement, we’d like to share a blog we first brought you back in August, which provides a glimpse into Hoff’s almost 40-year career with Fresno State. Congratulations Dr. Hoff! If anyone knows the ins and outs of the Fresno state campus, it’s Dr. Andrew Hoff. 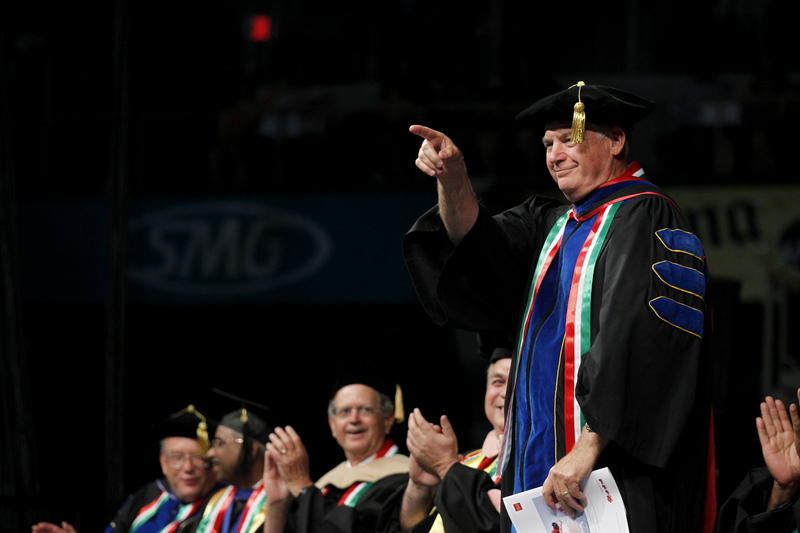 He recently retired this past June after 36 years of serving the Fresno State community. He credits his immeasurable time at the University as one that is profound, distinctive and most of all – unforgettable. As Hoff settles into a life of retirement, complete with moments of relaxation, home renovations and travels – he often finds himself back on campus, visiting with the administrators, faculty, and staff he has grown to know over the years. And Hoff’s presence on campus does not go unnoticed. As he sits in the brightly lit atrium of the Satellite Student Union on a calm August afternoon, just a week before the excitement of the fall 2014 semester begins, he is stopped mid-sentence by a former colleague, who jokingly asks if Hoff has returned from retirement. With a grin, Hoff says no. Later, he stops by room 178 of McLane Hall, where he previously spent a combined 12 years as both Associate Dean and Dean of the College of Health and Human Services. 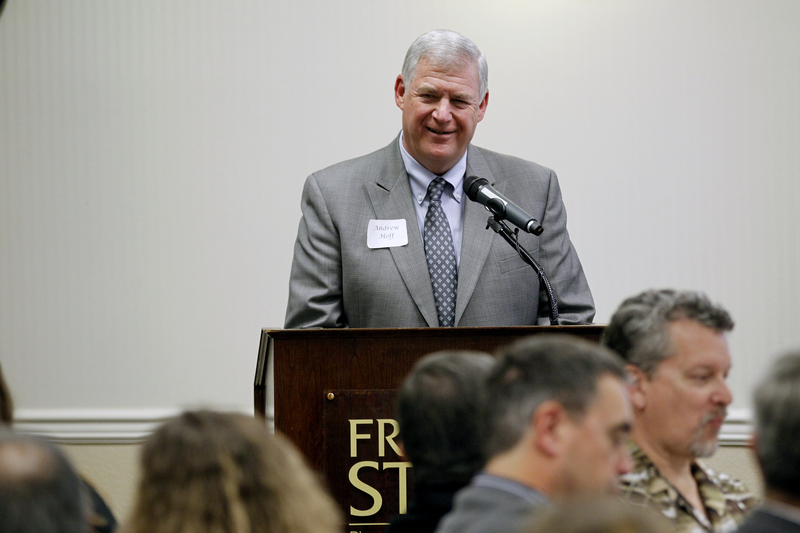 The College of Health and Human Services holds a special place in Hoff’s heart, as he not only was an alumnus of the college, but also taught in the department of recreation administration for 23 years before becoming Associate Dean in 1999. About one year ago, after leading a decorated career that includes serving as both interim Dean and Dean of three of the eight colleges on campus, Hoff was ready to officially leave the fast paced academic lifestyle behind to focus on retirement. However, with just three weeks leading up to his final days on campus, Hoff received an offer in May 2013, that would prove to be the culmination of his career at Fresno State. Under the appointment of then President John D. Welty, Hoff was named the new Interim Provost and Vice President for Academic Affairs, replacing Provost William Covino, who was leaving to become President at California State University, Los Angeles. 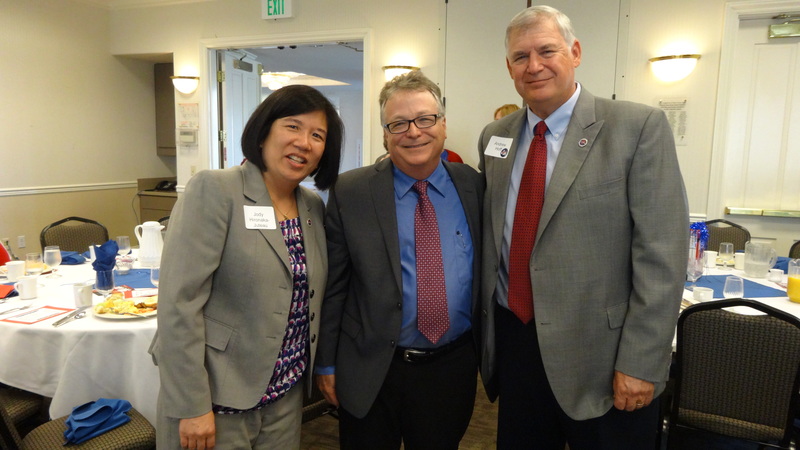 After a lengthy and dedicated career with the University, becoming Provost was a welcomed final assignment in Hoff’s time at Fresno State. In what seemed like an act of chance, Hoff’s last year at Fresno State coincided with incoming President Joseph I. Castro’s first year. The two formed a close partnership, rooted in deep respect and admiration for one another. Castro has nothing but high praise for his short-lived, but trusted colleague of just one year. “Andrew Hoff is a model citizen of Fresno State and in our community. He is immensely talented and has unquestioned integrity,” Castro continued. Hoff echoed Castro’s sentiment, saying working alongside Castro during his inaugural year was an honor, and the perfect way to end his long-standing career with a University he takes great pride in. Hoff’s career with Fresno State initially began when he was a student in 1969. As someone who grew up in the countryside of Lodi, he always had a zest for adventure, which led him to double major in geography and recreation administration, in which he obtained bachelor’s degrees in 1973 and 1975, respectively. He continued with the University and earned a Master of Science in recreation administration in 1978. From 1976 to 1985, Hoff joined the faculty of Fresno State as a lecturer in the Recreation Administration Program. Afterwards, he and wife, Diana, found themselves in Salt Lake City, Utah where they lived for two years while Hoff worked toward his Ph.D. in recreation and leisure from the University of Utah. Although they enjoyed their brief time in Salt Lake City, the noticeable dip in climate and snow packed winters just couldn’t compare to the allure of California’s coast and seasonal sunshine. And so they packed up their daughter, Shelley, and made the trek back to their beloved hometown in the Central Valley. Son, David, joined the family the following February. Since that time in late ‘80s, life for Hoff never did quite slow down and now, after over almost four decades as a leading professional in the academic world, settling into retired life has proven to be quite the transition. He and Diana, who just celebrated their 44th wedding anniversary, currently live in the tranquil outskirts of Clovis. Hoff said it took a couple of months to settle into the relative calm of country living, free from the excitement of everyday life on campus. In fact, a recent incident shows Hoff is finally settling in and slowing down the pace. As he was driving down a long stretch of Clovis Avenue, just north of Barstow – a road he’s taken quite often – he noticed something different. Sawyers Vintage Service, an automotive repair shop specializing in classic antique cars, caught his attention. And it was not because of its olive green building set amidst the backdrop of the large industrial area, nor was it because of the classic cars that were parked out front. As an avid car enthusiast and collector of Pontiac cars himself, Hoff was taken aback that he had never even noticed the business before, even though it had been there almost three years.